I have one more layout to share made with the Planetarium kits. The little wood veneer clouds reminded me of this photo of my boys playing with their toy boats in the puddles after a heavy rain when they were little. I had the layout finished a while back, but waited until my navy mist arrived to finish it. The navy is one of the new Mister Huey releases with the Studio Calico Atlantic collection and it's the perfect shade of navy... just what this layout needed! If you want to see what else I made with Planetarium, the Project Life spreads are here and the other layouts are here and here. The products I used are linked below. 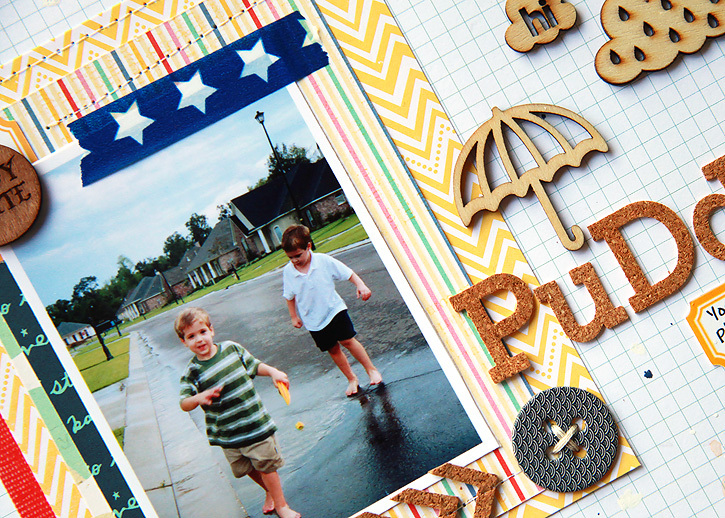 Love this layout - so bright and fun! Sweet page! Love the detail of the staple through some of the sequins! 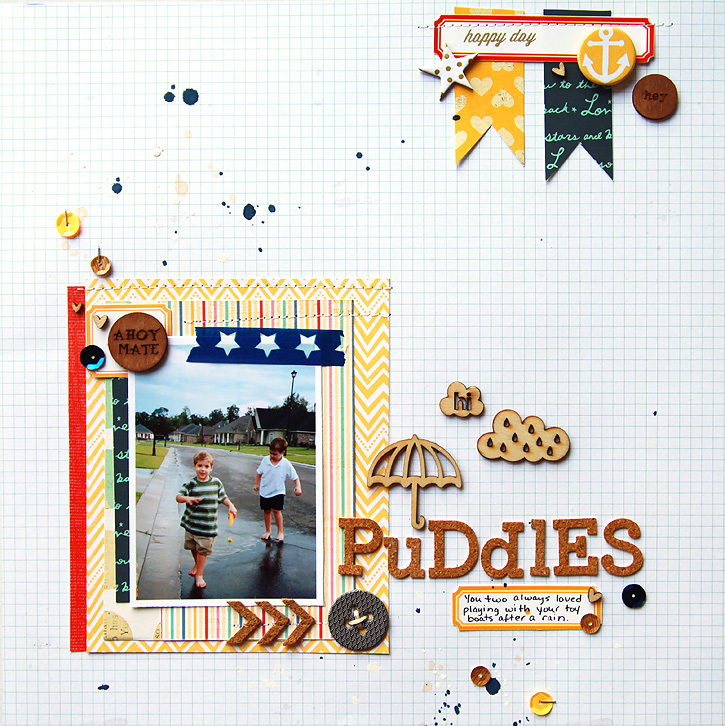 I love your layout and the Freckled Fawn wood embellishments! 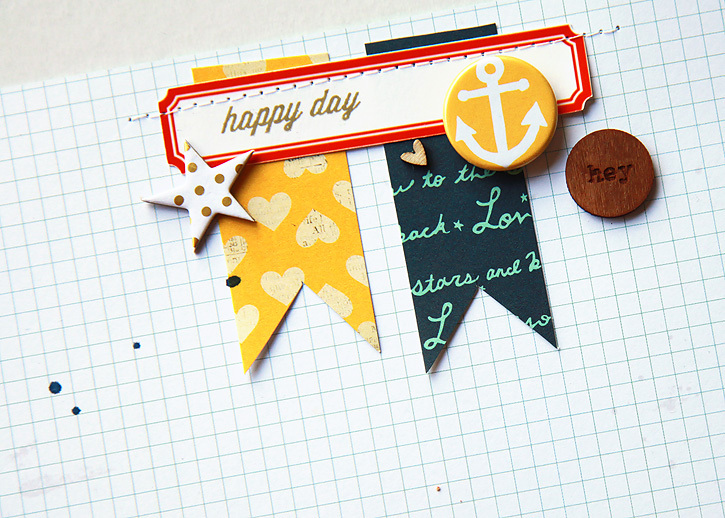 I'd love to feature your page on a Trendy Tuesday article for Papercrafters Library. The post will credit you & link back to your site. You can ck out the blog here: http://blog.papercrafterslibrary.com/ If you don't want to be featured, just let me know. Love your style! Thanks! That wil be fine!